Goodyear, Arizona to/from Phoenix Sky Harbor International Airport (PHX). Great Flat Rates! More often than not, our town car flat rate fares to and from Goodyear and the Phoenix Airport (PHX) are less than taxis charge for the same service. So, why travel in a taxi when you can travel to the airport in style and comfort in any one of our luxury vehicles. >> VIEW OUR RATES. A Luxurious Vehicle Fleet. Whether you are a single executive, traveling couple or a large group, Roadrunner has the right vehicle for you. Depending on the amount of passengers, Roadrunner Limousine’s fleet includes town cars, limousines, SUV’s, passenger vans and even 30+ passenger coaches. All our vehicles are clean, comfortable, private late model luxury vehicles equipped with GPS Navigation systems. So, why take a bumpy taxi from Goodyear to PHX when a luxury vehicle is available at Roadrunner Limousine? 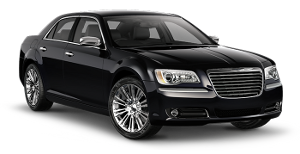 Roadrunner Limousine, serving Goodyear and Phoenix, Arizona, provides exceptional service for its executive clients. Our executive guests expect reliable, convenient and comfortable transportation to or from Goodyear and the Phoenix Sky Harbor International Airport. As important as it is to provide our executive passenger with optimum service, working effectively with their executive assistants and travel coordinators makes everyone’s job easier. For them, we have a state-of-the-art online booking and account monitoring system accompanied by a highly trained staff to help develop and execute the most sophisticated travel plans that any busy executive or corporate group might need. First Time Coming to Goodyear, Arizona – Did You Know? Goodyear, Arizona is a city with a rich, rewarding quality of life and tremendous community spirit, exemplified by its winning two prestigious national awards in 2008 – the All-America City and City Livability awards. Ours is a city with relaxed sophistication — where you will feel at home right away. Nestled in the shadows of the Estrella Mountains, Goodyear is one of the fastest growing cities in the Valley. A mere 20 minutes west of downtown Phoenix, Goodyear offers all the advantages of a small community, with all the cultural and entertainment resources the metro Phoenix area offers. Scenic mountain views, desert vistas, wide open spaces, golf courses, lakes, parks and palm-lined streets have already attracted over 64,600 residents who are among the most affluent and best educated in the state. Averaging 16 percent growth per year from 2000 to 2006, Goodyear has been one of the fastest growing cities in the country. Our 320+ sunny days assure an active lifestyle year-round, and our many beautiful master-planned communities ensure solid home values for all life stages – singles, families, empty nesters and retirees. The future for Goodyear is exhilarating. We are the Spring Training home of the Cleveland Indians and the Cincinnati Reds. We are the site of the next super regional mall in the Phoenix area. We are designing a 200-acre downtown from the ground up and planning for a new City Hall and library. Our airport, rail service and our location on I-10 between the Loop 101 and 303 freeways makes us very attractive to major employers like Lockheed Martin. We are the new western home of Cancer Treatment Centers of America, Amazon.com, and Macy’s Internet Fulfillment Center. Numerous industrial/office parks are already under development. With about 90 percent of its total 189 square miles of affordable land still available for development; Goodyear is a city of great opportunity!